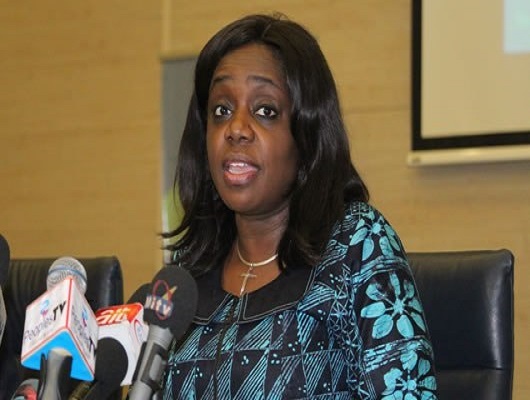 The Federal Government has recruited and trained 2,190 Community Tax Liaison Officers (CTLOs) under the Voluntary Assets and Income Declaration Scheme (VAIDS), says the Minister of Finance, Mrs Kemi Adeosun. She said that their task was to raise awareness about the scheme and taxation in general. She said that the CTLOs were currently operating in Adamawa, Cross River, Delta, Edo, Enugu, Kaduna, Kwara, Lagos, Nassarawa, Niger, Ogun and Oyo states among others. “On personal income taxes, we reviewed property and company ownership as well as registration of high-value assets and foreign exchange allocations, which gives us a sense of the lifestyles of the persons. “But again, we found major non-compliance. In some cases, people declared as little as N10 million as income but purchased expensive property overseas and in Nigeria. “They also registered high specification vehicles and funded luxurious personal events costing multiples of the declared income,” she said. Adeosun said that now, with the centralisation of data under Project Lighthouse within the Federal Ministry of Finance, a major tax loophole has been plugged. Adeosun also said that the Federal Government had compiled a list of 500 prominent Nigerians with property and trusts abroad, to determine their tax compliance status. The 500 prominent Nigerians, according to her, will receive their letters beginning from Monday, asking them to take advantage of the tax amnesty to regularise their tax status and avoid prosecution and fines. VAIDS, an initiative of the Federal Ministry of Finance in collaboration with the State Tax Authorities, is a revolutionary programme that provides tax defaulters with a nine-month opportunity to voluntarily and truthfully declare previously untaxed assets and incomes. Job creation is one of the spin-offs of the VAIDS initiative, with the scheme expected to create 7,500 opportunities for Nigerians as CTLOs through the N-Power scheme of the Federal Government.